Pythagoras is a genius bracket system that fits perfectly in your livingroom, bedroom and kitchen. By matching shelves with the triangular brackets you have the ability to create your personal expression for your own shelf. 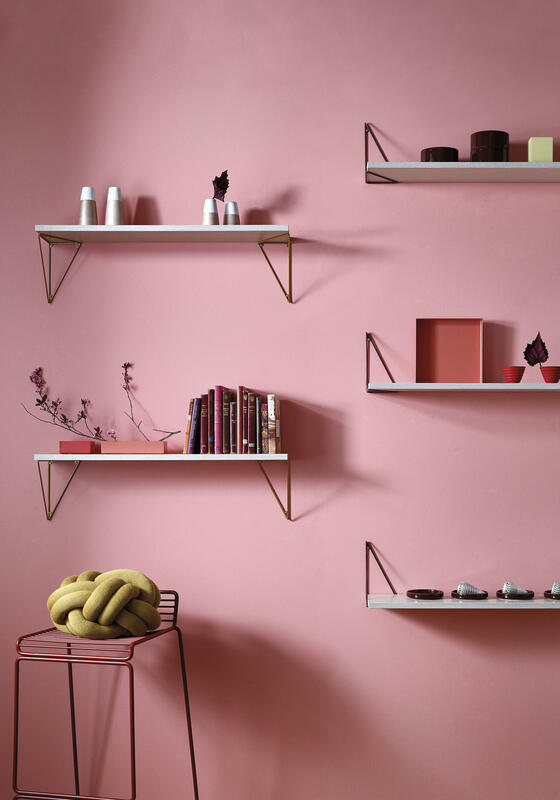 The stylish, wall-mounted shelf is designed by Gustav Rosén and, as the name suggests, he has taken inspiration from geometry. The shelves are combined with brackets made with powder coated metal wire available in white, black, bordeaux, green and brass.